Like the Donald Trump and Hillary Clinton matchup, the coverage of the U.S. election was also a defining event for our local TV news organizations — an opportunity to capitalize on the momentum they had built from the coverage of the Philippine election earlier this year. GMA-7 had a considerable amount of reporting brought by two of its news anchors, Mariz Umali and Raffy Tima, who both flew all the way to the East Coast. TV5's Frauleen Olivario, who like Umali covered the Pacquiao-Vargas fight in Las Vegas just a week earlier, meanwhile, followed the events in the battleground state of Nevada. CNN Philippines, for its part, had to rely on CNNUS by simulcasting its live coverage, while devoting an original coverage the day after through an expanded edition of Global Newsroom. With a panel of two, composed of in-house analyst Gilbert Remulla and Leloy Claudio, anchor Claire Celdran briefed viewers about the events that transpired over the past 24 hours. 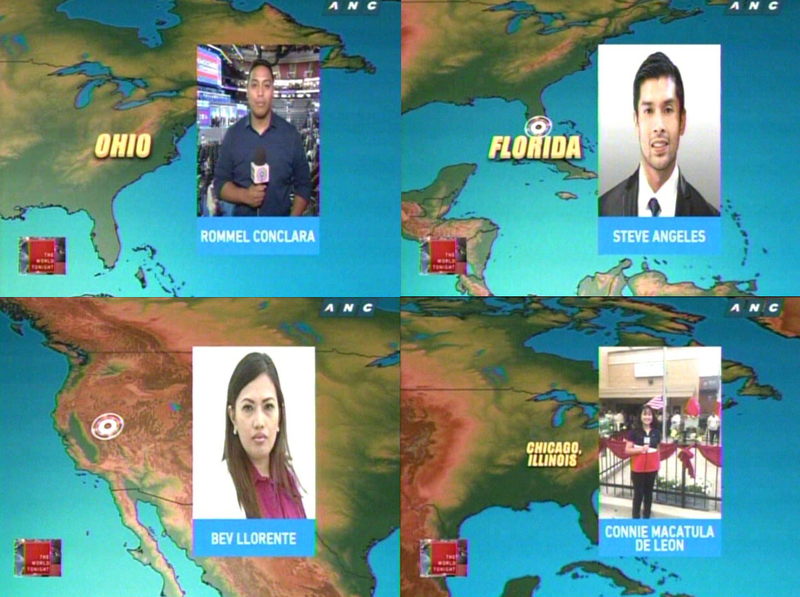 The ABS-CBN Global reporters on ANC's The World Tonight — the night of November 8. Not surprisingly, the ABS-CBN News team had the upper-hand on this given their experience in covering U.S. elections in the past. ANC, in particular, devoted two days of non-stop, comprehensive coverage beginning from Tuesday's The Bureau to that night's jam-packed The World Tonight, and lasted until Wednesday night. From watching the poll results from various states to in-depth interviews with political experts — like Manolo Quezon, Ron Vilog of the DLSU, just to name a few — and international journalists — like CNN reporters Phil Mattingly and Richard Roth — ANC took an aggressive approach in covering one of the most contentious elections in modern history. 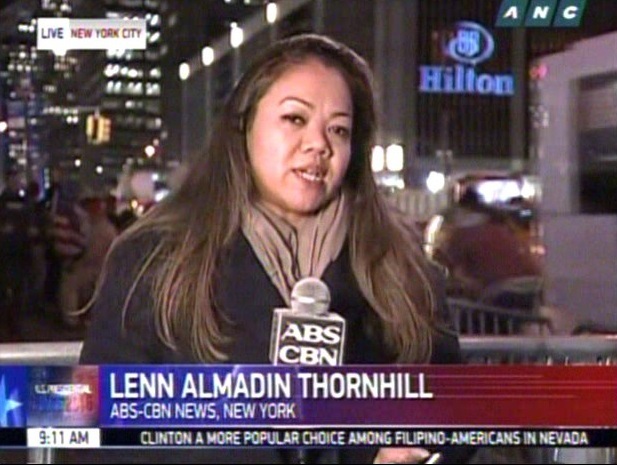 ABS-CBN Global reporter Lenn Thornhill. Participating in the network's wall-to-wall coverage were the ABS-CBN Global reporters namely, Steve Angeles, Rommel Conclara, Bev Llorente — who days before the election had a string of coups — Jared Bray, Ivee Tadeo, Paul Henson, Connie Macatula-De Leon, Lenn Almadin Thornhill, and Don Tagala. "They [ANC] delivered quite a coverage," says a veteran journalist, who asked not to be identified. "They covered it the way they covered the May election. Talagang pinaghandaan at pinagpaguran." Newbie anchor Migs Bustos also had a baptism of fire, co-piloting the coverage with Irlanda during the wee hours of November 9. Jared Bray's Skype interview with ANC anchor Nancy Irlanda. New in this election is the surplus of Facebook Live streams, and ANC, a subscription-based channel, was generous enough to offer almost an hourly simulcast of its TV coverage. "Ging Reyes and Nadia Trinidad truly deserve credit for this," says the veteran journalist. "What a great way to end 2016 than to remind people why ANC is the country's premier news channel." In a promo video aired days before and during the election day, CNN quoted a Washington Post piece by Erik Wemple which declared that the international cable news network "has thoroughly owned" the 2016 campaign season. Locally, we can say that CNN had a counterpart in that aspect and it's no other than ANC. 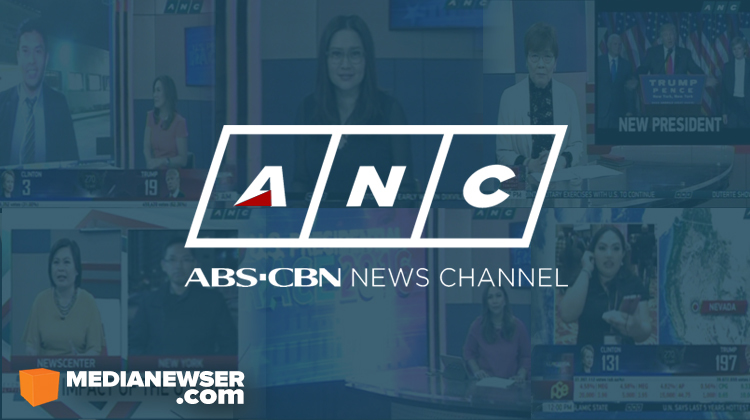 The Kapamilya news channel not only gave us an outstanding and insightful election coverage, but it once again proved that when it comes to reportage of any global events, ANC is just as capable as any of the international news channels.